Hello fabulous ones, hope you having a great Sunday. I had a pretty relaxing time post church, shopping, eating and watching the Voice aahhh....... I love Sundays. In today's episode of the voice there was a 17yr old girl that was into her vintage style and it reminded me of the Vintage fair I went on Saturday. The Lou's Lou Vintage fair is a travelling fair that came to Oxford on Saturday, that have lots of stalls that sell Vintage clothing , accessories, a Vintage Tea Party and a Vintage Beauty parlour that did hair and makeup makeovers on the day, it was pretty cool! While I'm not into the vintage trend I do appreciate the style and some found pretty cool stuff. These Vintage Vogue Magazine covers were just fab! Found these necklaces quite cool, they all had funny inscriptions. 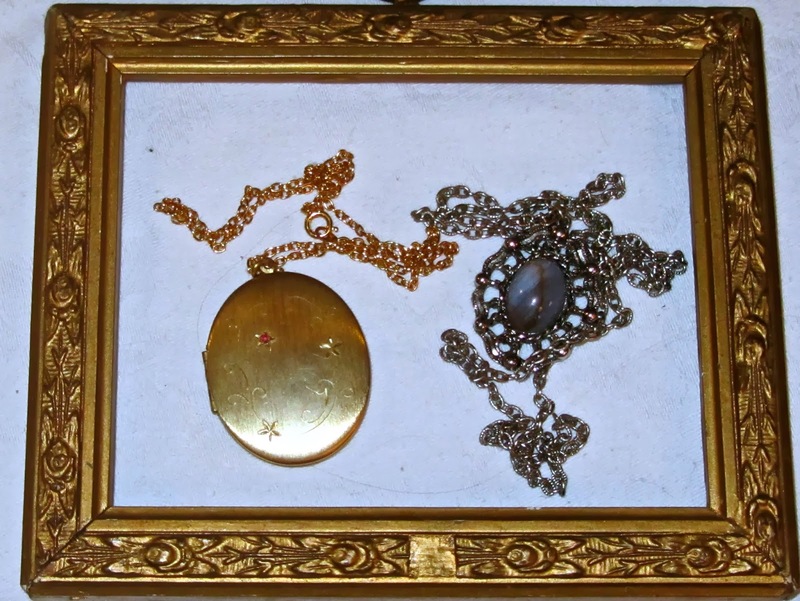 Lovely gold locket caught my eye. Overall I thought it was a pretty good fair and the turn out was great as well, I had to queue outside for around 5-10mins to get in as they were only letting people in when people left the fair. The fair will be going to many cities across the UK this year, visit their Facebook page www.facebook.com/VintageFair for more information. That is what I got up to this weekend, did you do anything exciting? Would love to hear from you. Really like the Vogue covers, would be perfect framed and hung in my super stylish studio/home office *Nemi dreams*. 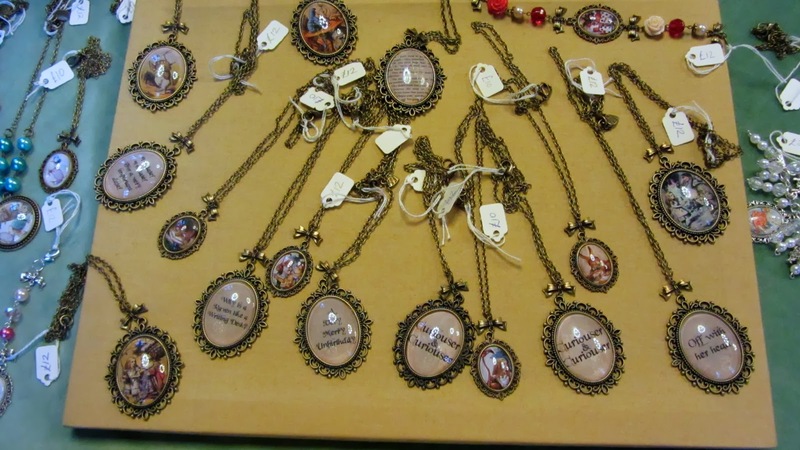 My fav are the lockets, really lovely and one can make it personal with a photo or something. Now my hubby would truly love those ties :).